Cooper's 9-under-par 207 secures medalist honors. UT's Kaitlyn Papp is second, four strokes off the pace. Texas' 10-under-par total tops the field by seven strokes. Longhorns Hailee Cooper and Kaitlyn Papp led the way as Texas won the Betsy Rawls Invitational at the UT Golf Club on Sunday. Cooper shot a 68 to finish at 9-under-par 207 and take medalist honors over Papp, whose 70 left her four strokes back. UT’s Agathe Laisne, competing as an individual, tied for fourth at 214. The Longhorns had a three-day total of 10-under-par 854, seven strokes ahead of second-place Kent State. Baylor was a distant third at 11 over par. Rounding out the top five were Florida at 16 over and Texas Tech at 25 over. 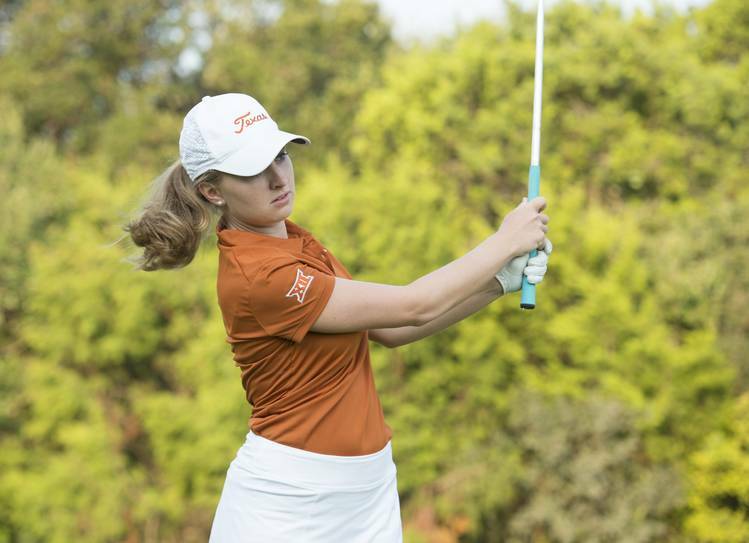 Texas’ Greta Voelker shot a 71 Sunday to tie for seventh at 217. Teammate Sara Kouskova tied for 17th at 221 after carding a 72. Emilee Hoffman rounded out Texas’ team scorers with a 70 for a 223 total, tied for 23rd. Longhorn Maddie Luitwieler, also competing as an individual, had a 77 to finish at 227, tied for 34th.